This a revised edition of the book, first published in 1995. 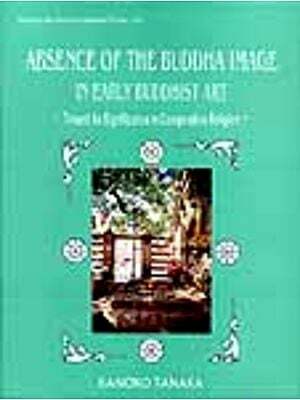 It deals with crucial though controversial question in Buddhist art: the origin of the Buddha image– its transformation from aniconism to anthropomorphism– and the iconography of the Buddha images. 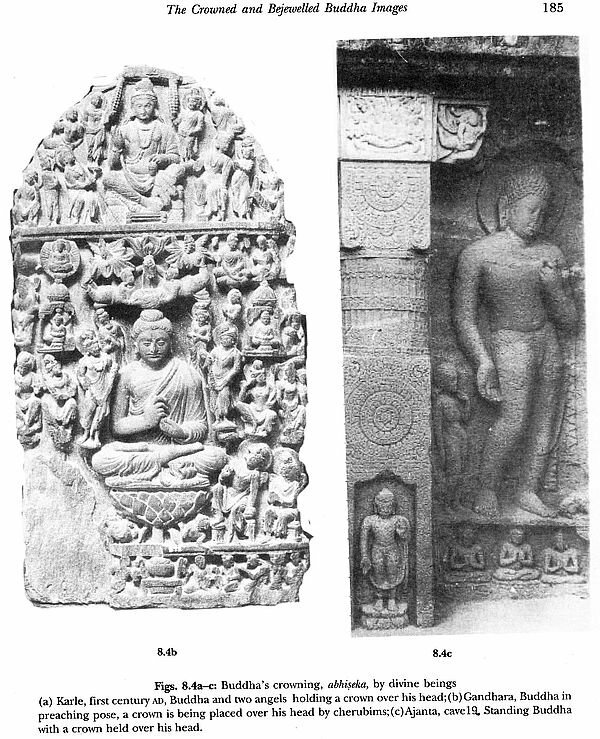 The earliest Buddhist art of Sanchi and Bharhut is anicionic; the Buddha is represented in symbols only. In the later Buddhist art of Gandhara and Mathura, the Buddha is represented in human from; he is the principle subject of sculptural art. The book seeks to explore the geographical area in which the image of the Buddha first emerged and whether ideology of the Buddhist doctrines–Hinayana or Mahayana –had anything to do with this transformation and whether anthropomorphism of the Buddha image is of Greek inspiration. 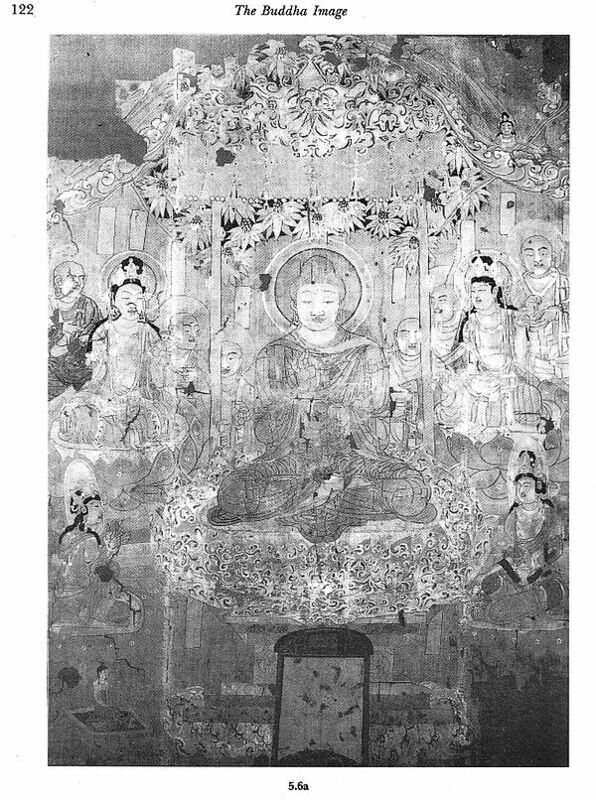 The Buddha image, as developed eventually at Sarnath, became the model for the Buddha images in whole of Asia–Southeast, Central, and Eastern. The iconographic features of the Buddha images are superficially an aberration, being in apparent conflict with the doctrine. The Buddha had cut off his hair at the time of his renunciation; the rules of the order enjoin that a monk must be tonsured and must discard and eschew all ornamentation. However, in his images, the Buddha has a luxuriant crop of hair on his head; later he also came to be endowed with a crown and jewels which, strictly speaking, are a taboo for a renunciant. After an exhaustive examination of the views of various scholar, the book answer these questions and resolves the controversies on the basis of literary, sculptural, numismatic, and epigraphic sources. More importantly, it makes use of the valuable evidence from the contemporaneous and parallel religious tradition–Jainism and jaina art: aniconism of early Jaina art and the iconographic features of later Jaina images. The implications of this study are also important: does India owe idolatry to Buddhism? Was this of foreign inspiration, Greek to be precise? Was the Buddha image fashioned after the Vedic Brahma and whether the Buddha’s usnisa and Buddhist art motifs are rooted in the Vedic tradition? 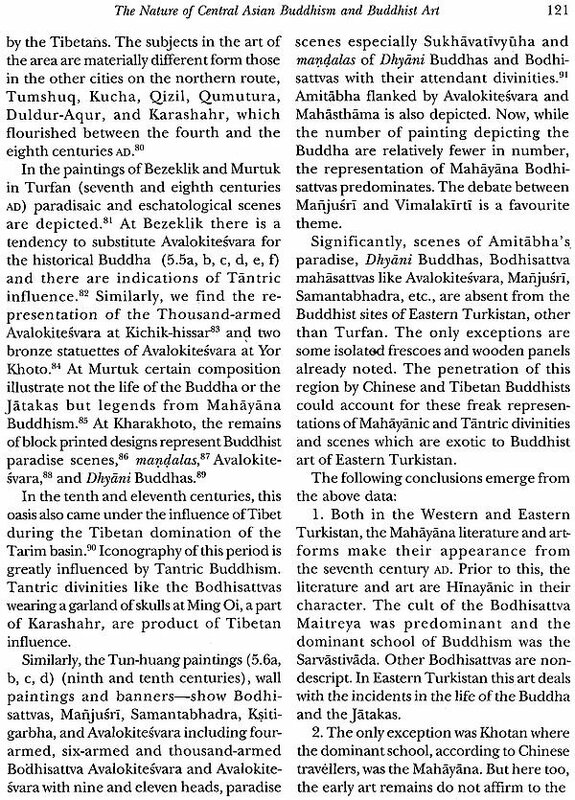 The book is profusely illustrated and provides rich and stimulating fare to students of Indian art in general and of Buddhist art in particular. 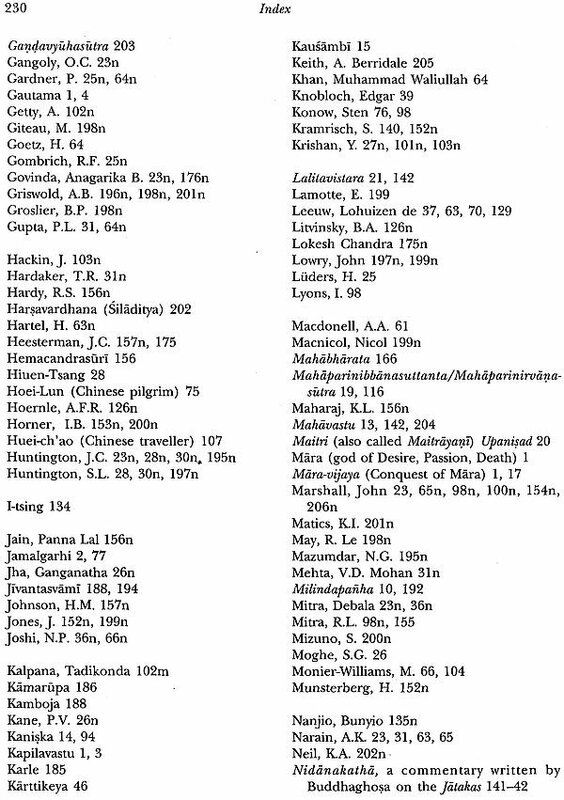 Y.Krishan is a scholar in Indology –Indian history, religion, philosophy and art. He has published over 150 research papers on these subjects in leading journals in India and abroad. By profession, he was a senior civil servant and retired in 1980. He also served as a member of the National Consumer Disputes Redressal Commission from 1988 to 1995. He has also published a book Audit in India’s Democracy. His other works are: The Doctrine of Karma: Its Origin and Development in Brahmanical, Buddhist and Jain Traditions; Ganesa: Unravelling and Enigma; and Understanding Partition (of India in 1947). The co-author, Dr Kalpana Krishan Tradikonda completed her MA in History from Delhi University in 1985. She was awarded a PhD by Delhi University for her research “The Sculpture of Bharhut and Sanchi: An Archaeological study” in 1989. Working as Lecturer at Ramjas College, Delhi University, she went to pursue a Postgraduate MPhil Course at Cambridge University, UK on Heritage Management and Museums in 1991-92. From 1993-97, she was a Post-doctorate Visiting Fellow at the Department of Archaeology and Anthropology, Cambridge University, UK. THIS BOOK deals with some of the most fundamental controversies in Buddhist art. First and foremost: "Early Buddhist I Aniconic Art." The earliest Buddhist art of Bharhut and Sanchi is aniconic: the Buddha is represented only in symbols in conformity with the Vedic tradition. 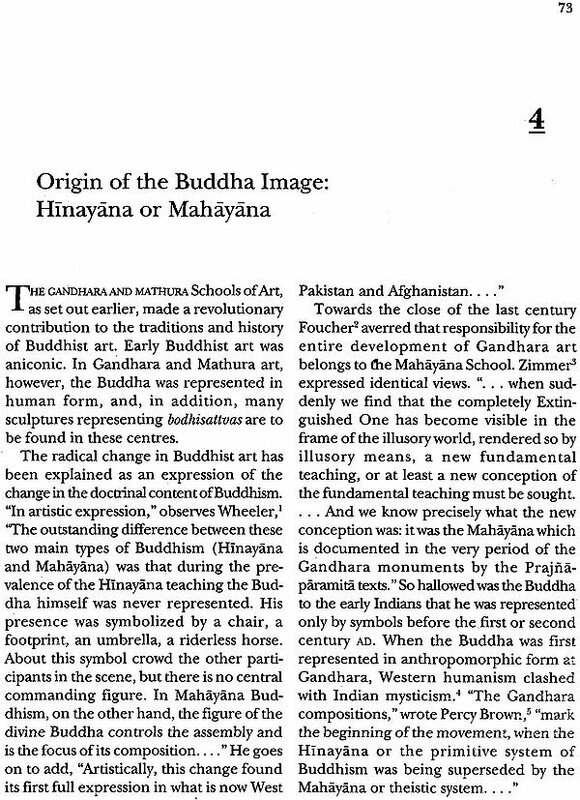 The iconic representation of the Buddha in the later schools of art of Gandhara and Mathura generated a most vigorous impulse which led to intensive and creative works of art-the Buddha image and the episodes centering around the life of the Master. This culminated in the Sarnath Buddha in the fifth century AD which is a masterpiece of world art and which became the model of the Buddha heads in the whole of Asia. The illustrations bring out vividly the transformation from aniconism to anthropomorphism in Buddhist Art. The creation of the Buddha image also created the need for housing the image of the Buddha and was thus responsible for the construction of caityas and temples enshrining the Buddha image. Anthropomorphic representation of the Buddha was thus the one important inspiration for the creation of Buddhist art and architecture. So the factors which brought about the change from aniconism to iconism are of great importance and interest. Aniconism or unanthropomorphism of the early Buddhist art was not, as is commonly believed, the result of a belief among the earliest Buddhists, later classified as the followers of the Hinayana, that Sakyarrruni Buddha could not be represented in human form either because he was only an ordinary being who did not deserve to be idolized in an icon or because of a canonical injunction against deification of Gautama in human form. Aniconism was also not an exclusive feature of the then Buddhist art. The earliest contemporary Jaina art of Khandagiri and Udayagiri was equally aniconic or unanthropomorphic. There are ample reasons to believe that the aniconism of early Buddhist art was rooted in Vedism in which the highest gods were conceived as impersonal forces of nature and amurta, without form. It was foreign to the then contemporary Indian genius to represent a mahapurusa, a great being, as purusa, human being. 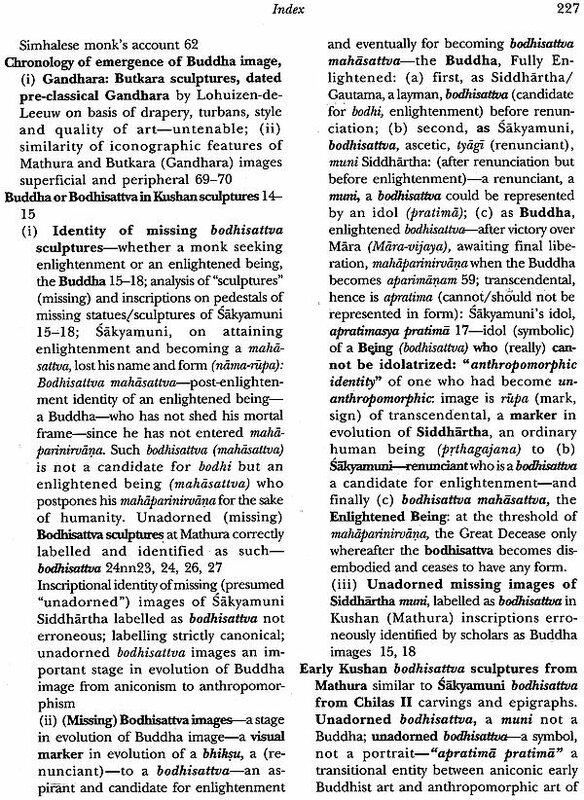 The Buddhists, in conformity with the Vedic tradition, eschewed the representation of the Buddha in human form. Further evidence of conformity to the indigenous Vedic traditions is also to be found in the art motifs used by the Buddhists (as also by the Jainas). It is the Buddhist Indo-Greeks, the Greeks who settled down and ruled over the Gandhara region (present North-West Frontier Province of Pakistan and parts of Afghanistan), in the wake of Alexander's invasion, who provided the impulse for a break from the past: the artists of Gandhara of Greek origin, had no inhibitions in representing the Buddha in human form. In fact the Greeks had revelled in chiselling in stone sublime figures of their gods which are masterpieces of art of all times. It was, therefore, quite natural for the Buddhist Indo-Greeks to represent the master of their faith in stone in the tradition of their forefathers. Thus Greek aestheticism combined with Buddhist religious fervour to create the Buddha image in Gandhara. 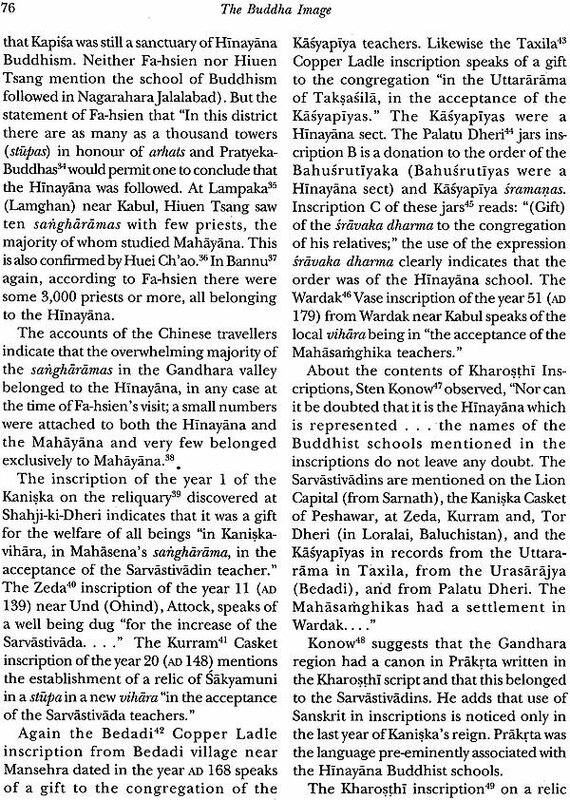 There is acute controversy among scholars, regarding the relative priority in the execution of the Buddha image between Gandhara on the one hand, and Mathura on the other. It is not just an academic debate but has a bearing on the question of the origin of the Buddha image. There is considerable evidence, archaeological, epigraphical and numismatic, which establishes the chronological priority of the Buddha image of Gandhara over the Buddha image from Mathura. This provides confirmation of the thesis that the creation of the Buddha image was the result of Indo-Greek inspiration. Again, the ideological affiliation of the creators of the Buddha image has been considered to have a bearing on the area where it could have originated. 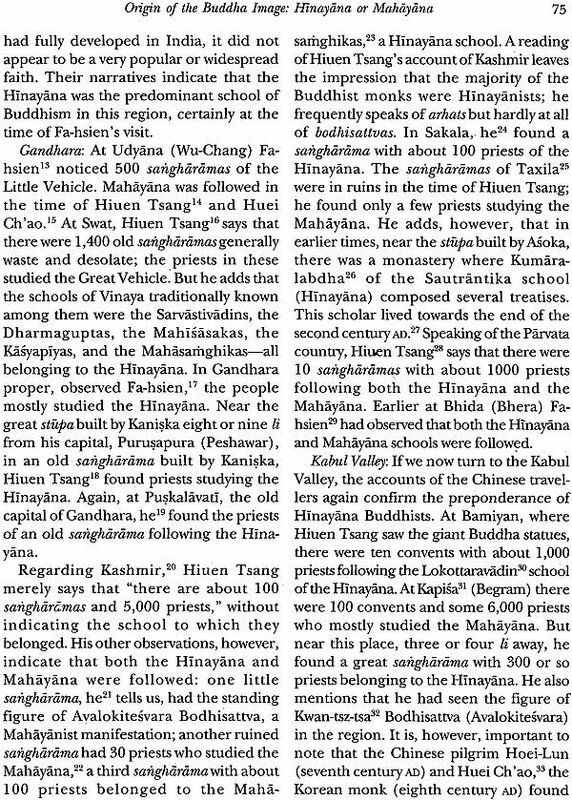 As mentioned d earlier, hitherto, the scholars had assumed that the followers of the Hinayana, dominated by bhiksus or monks in the earliest phase of the growth of Buddhism, considered the representation of the Master in human form as heretical, being contrary to f canonical injunction. More importantly, it s was assumed that the representation of the Buddha in human form was an innovation of the Mahayana. Consequently, the Gandhara school of Buddhist art was 11 identified as belonging to the Mahayana. 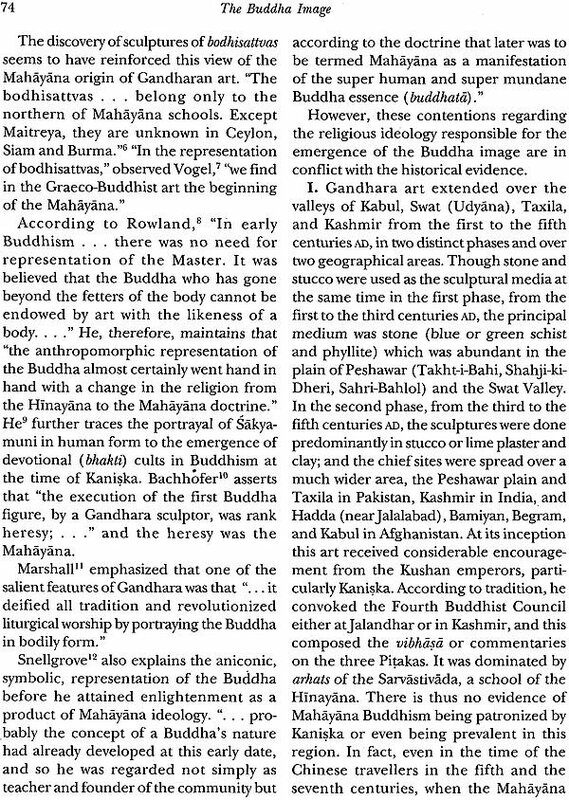 But the substantial epigraphical evidence, the accounts of the Chinese travellers and the content of the art of Gandhara proves that the Buddhists of Gandhara were not the followers of the Mahayana but of the r Sarvastivada school of the Hinayana. 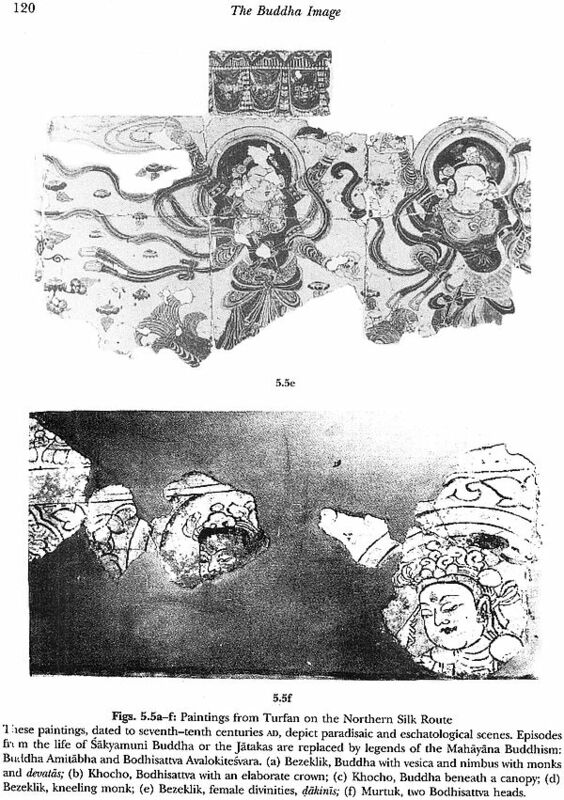 The content of the early Buddhist art of the Central Asia, Eastern and Western Turkistan, shows that the Central Asian early Buddhist art was an extension of the Buddhist art of Gandhara and Hinayanic in character. 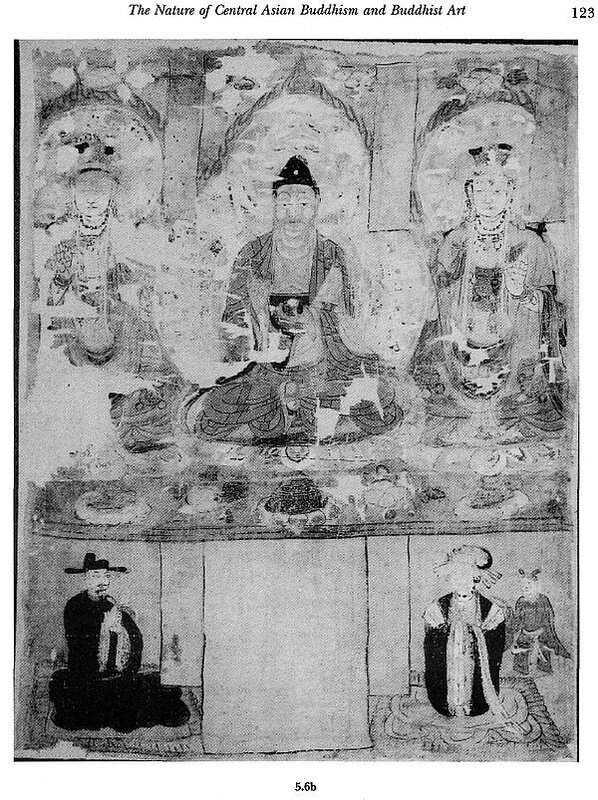 Thus the first five chapters establish that the aniconic character of the early Buddhist art is not rooted in orthodox Buddhist doctrine but in Vedism, that the first Buddha images are to be found in Gandhara, that the Buddhism of Gandhara and early Central Asian Buddhist settlements was the Sarvastivada school of Hinayana and that the credit for representing the Buddha in human form goes to the Indo Greeks who owed allegiance to the Hinayana. The last two chapters* deal with two important iconographic features of the Buddha images: (a) The Hair on the Buddha's Head and usnisa; (b) the Crowned and Bejewelled Buddha Images. The Buddha images are commonly represented with short curls and a pro-tuberance on the top of the skull. These have been considered as depicting one of the 32 mahapurusa laksanas, the signs of a great being, a buddha, an enlightened being or a cakravartin, a universal sovereign. 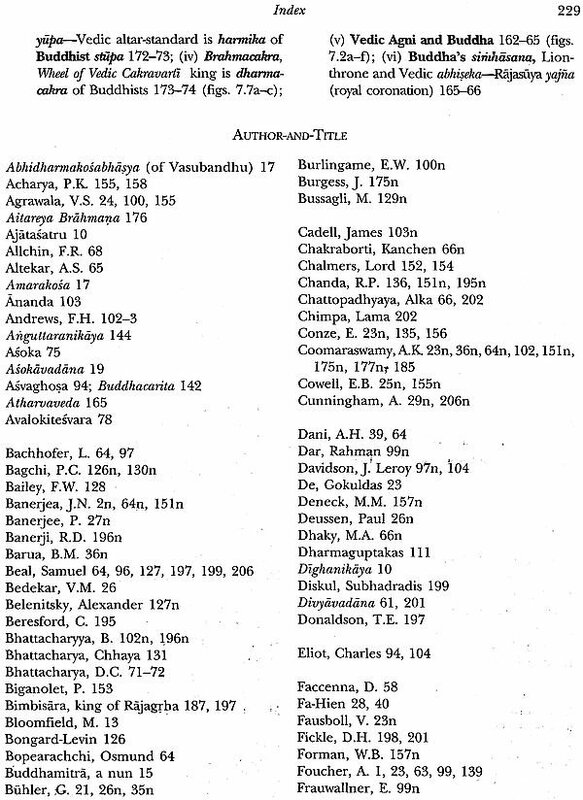 However, on the basis of literary evidence, the manner in which hair are represented in the Gandhara and Mathura images of the Buddha, the Jaina tradition regarding the representation in art the heads of tirthankaras with hair and usnisa, it is or established that the hair on the head were originally depicted in Gandhara and Mathura in imitation of the locks of hair of Brahma, that usnisa is not a cranial bump sp but an emblem of the Buddha's spiritual sovereignty and which is traceable to Vedic tradition. 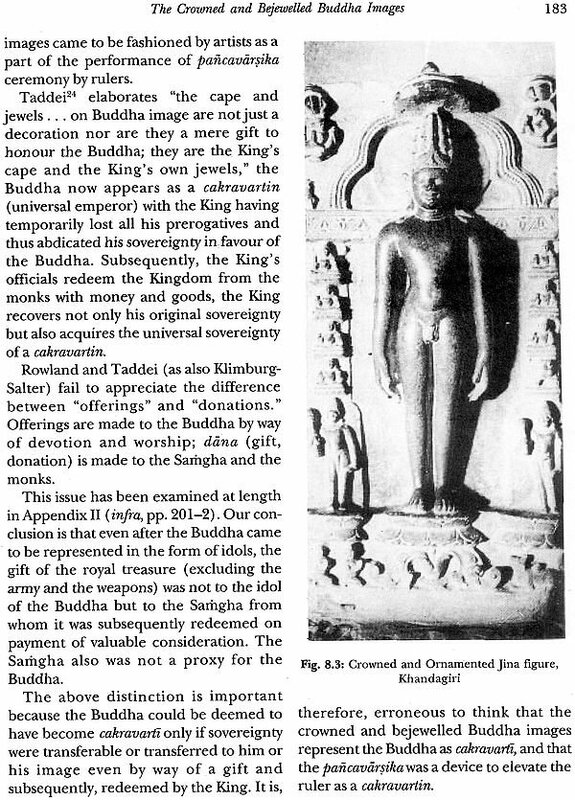 “The Buddha was conceived as the at spiritual or divine counterpart of a cakravartin (a universal monarch) .... Just as cakravartin was endowed with a crown of temporal royalty, so was the Buddha endowed with an ill usnisa which symbolized his attainment of spiritual sovereignty." In arriving at this conclusion, for the first time the present work makes use of the valuable evidence of Jain iconography. 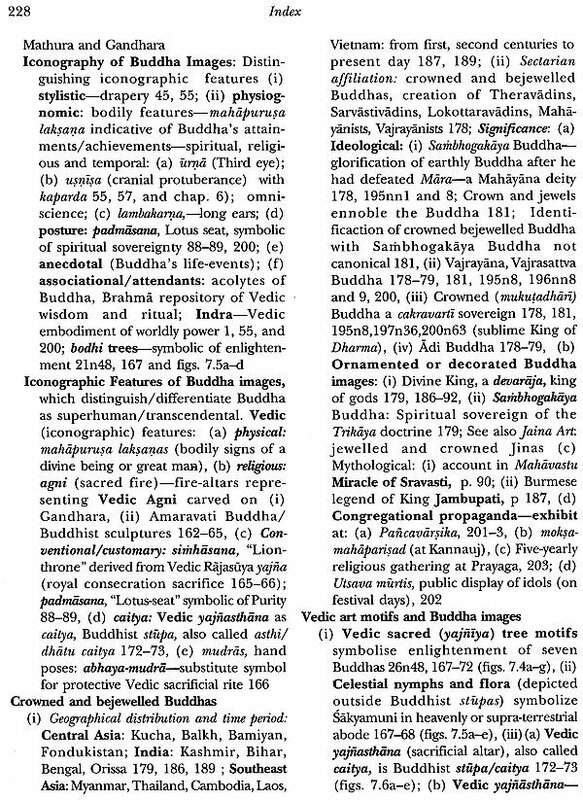 Further the Buddha's usnisa provides valuable evidence of the influence of Vedic Brahma on the iconography of the Buddha images. The second feature of Buddha iconography is the Buddha depicted in royal attire--crown and jewels. Such images are prima facie aberrant and a deviation from the orthodox tradition according to which, at the time of renunciation, the Buddha had discarded his royal robes and the jewellery. 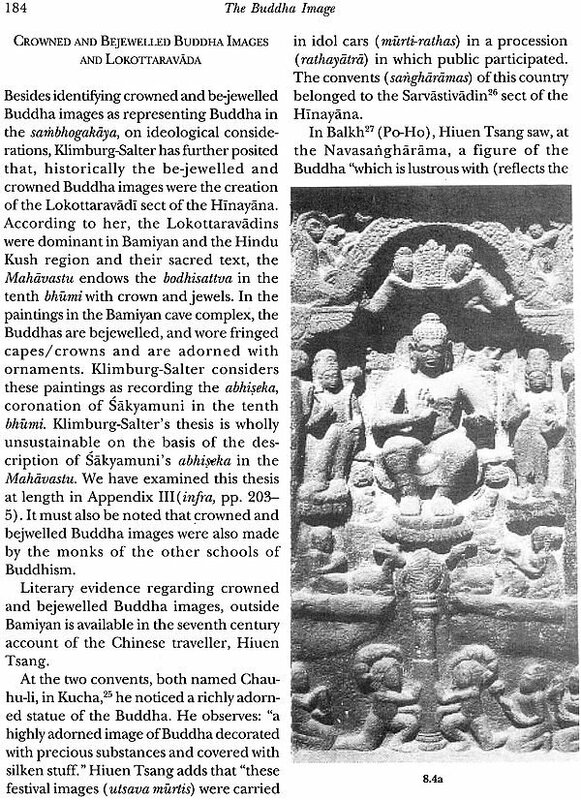 Here again the scholars have found a simplistic explanation-the crowned and jewelled Buddha images in eastern India were a product of buddhology of the Mahayana Buddhism. But the Buddha image in royal attire are to be found in Cambodia, Siam, Laos, and Burma where the Buddhists owe allegiance to the most orthodox school of Hinayana Buddhism- the Theravada. The Jaina art tradition of the Svetarqbara sect depicts the tirthankaras embellished with gems and ornaments in spite of the fact that Jainism is rigidly austere and the second great branch of Jainism, the Digambara sect depicts tirthankaras as absolutely naked. 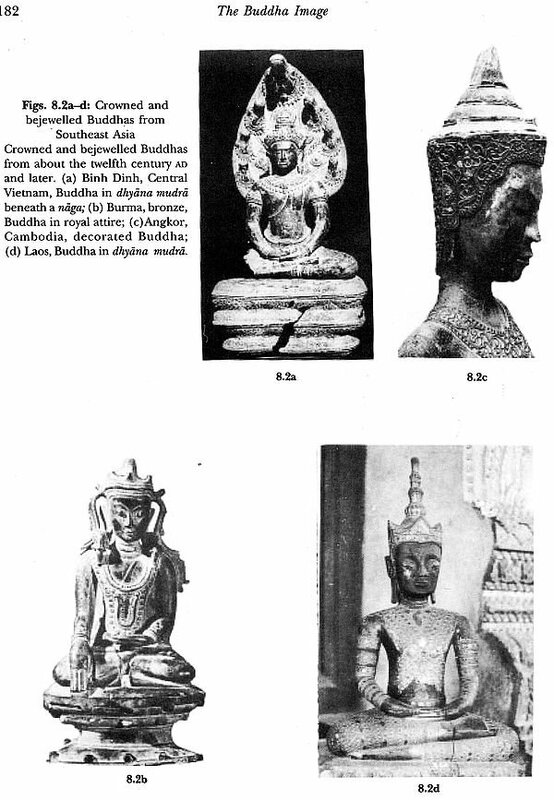 The finding is that crowned and jewelled Buddha images do not represent any particular school of Buddhism; the crown and the jewellery were intended to proclaim the Buddha's sovereignty. So besides exploring the origin of the Buddha image and certain basic features of the iconography of the Buddha images, the present work* also makes manifest the Vedic roots of the early Buddhist aniconic art and the Vedic Brahma’s influence on the Buddha's iconography.